The 2017 season of the awesome Bangalore Bicycle Championships is going with a 33.5km Individual Time Trial on Old Madras Road. 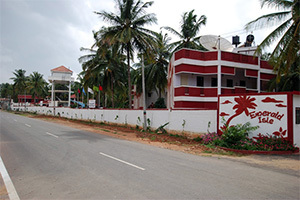 The start point is Emerald Isle Resort on Old Madras Road in Hoskote. 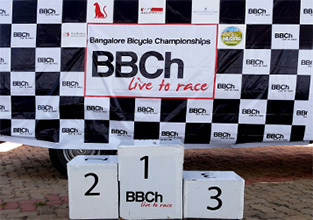 Get your race face on people and get ready for a rocking new road season at the Bangalore Bicycle Championships. Out and back along the Old Madras Road, starting in the service road, entering the highway immediately. Stay on the highway for approximately 16.5km, and take a U-turn just after the Confident Amoon Resort. You’ll experience headwinds on the way out, so fight through it and enjoy the return! 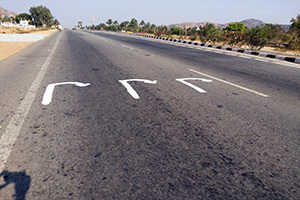 The start point is situated on the service road adjacent to Emerald Isle Resort, approximately 6km past the toll gates on the Old Madras Road, heading towards Kolar. Race Venue / Parking / Registration Desk : Emerald Isle Resort, approximately 10km past the toll gates on the Old Madras Road. Start Point : Opp. to Emerald Isle Resort. 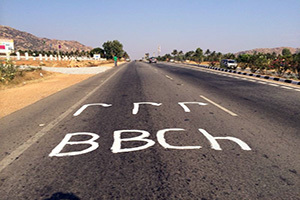 @ 16.5km U- turn, with U-turn sign marked on road. An Individual Time Trial (ITT) is a road bicycle race in which cyclists race alone against the clock on flat or rolling terrain, or up a mountain road – literally "against the watch". ITTs are also referred to as "the race of truth", as winning depends only on each rider's strength and endurance, and not on help provided by team-mates and others riding ahead and creating a slipstream. Starting times are at equal intervals, usually one or two minutes apart. 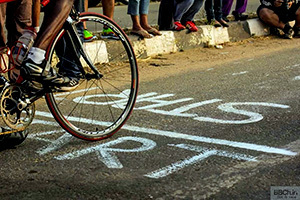 The starting sequence is usually based on the finishing times in preceding races (or preceding stages in the case of a multi-stage race) with the highest ranked cyclist starting last. Starting later gives the racer the advantage of knowing what time they need to beat (and also makes the event more interesting to pectators). Competitors are not permitted to draft (ride in the slipstream) behind each other. Any help between riders is forbidden. The rider with the fastest time is declared the winner. 1. What is this start list for ? - Rider will start as per the start list. 2. I see two times? start time (race clock) & start time (real time), waht are they ? 3. When should i collect my bib ? - you can plan your arrival as according to your start time. Make sure you are lined up 5 mins before your start time. 4.What is the time interval? - Start order is designed based on last years results, winner will go in last. 6. What will happen if a person miss his start time ? - He will loose his time or he has to start at last. - This is the ITT standard format, we are trying to improvise on what we did last year. 8. What is the use of having a start list ? 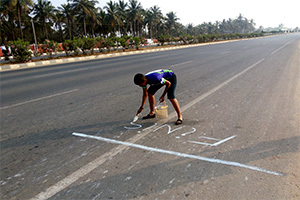 * It is the standard format of ITT to publish start order before race. * This will help participants and teams to plan arrival before their start time. 9. Where should i put my bib ? It’s a pretty even and smooth road surface which is mildly rolling. We will have a volunteer at the U-turn point. Water and refreshments will be available at the start and finish line.